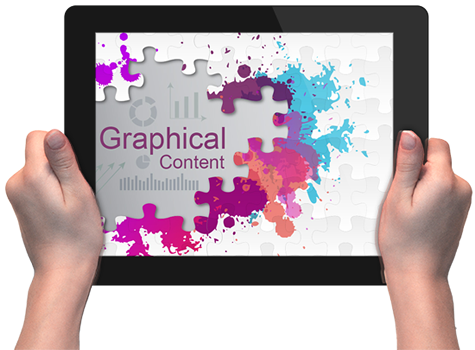 As the majority of businesses seem to migrate to the greener pastures of graphical content, it becomes more and more difficult to stand out from the crowd. No worries! With WriteIT, your business can easily overcome this difficulty. Our persevering veterans have thoroughly scrutinized the market to design you graphical content that provides a showcase for your strengths and distinguishes you against a host of competitors. We offer you choices that will entertain and enthrall your audience and carve yourself a position of prominence.